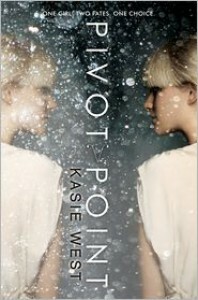 Originally posted at Gypsy ReviewsBack when Pivot Point first came out, I heard loads about it and of course I had to check it out. Having already read a similar book dealing with a similar issue in Parallel, no doubt Pivot Point had big shoes to fill. Pivot Point has its merits and cons and manages to stand on its own with its thrilling moments, interesting concept of the Paranormal world and is a book I definitely enjoyed. However, the story-telling fell flat a bit because the build-up towards the end wasn’t executed well enough.Addison just found out her parents are getting a divorce and she has to decide who to choose and does so by using her powers as a Searcher where she can see the two potential futures she could choose. 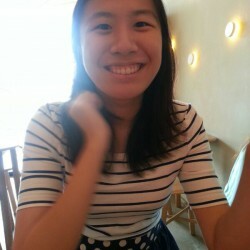 Addie is confident, well-aware of who she is though despite that, she also has her own insecurities. In the paranormal compound, people misunderstand her abilities and presume she can tell other people’s futures as well so she has to deal with the part where there might be people wishing to take advantage of her whereas in the Norm world, she fears not being able to embrace her powers because her powers are a huge part of her they have come to define her and without them, she does not know who she is. Addie does seem a bit of a brat when dealing with her parent’s divorce because she secretly thinks she can get them to get back together and tries to take advantage of the post-divorce effect. Though I think this is rather relatable to children who have gone through this process and find it hard to come to terms with. So it was understandable.Now we have two potential romances and needless to say, I pretty much detested Duke. To be honest, I usually do like characters who seem like jerks in the beginning but who aren’t actually in the end but Duke always gave me this really bad feeling because he hardly knew Addie at all and wanted to catch her attention. In the end we find out Duke is anything but he seems. Trevor is such a sweetheart though, he’s honest and although he and Addie don’t share similar interests he respects that and I loved their relationship. It was slow and gave you time to warm up to it. Trevor is quite a complex character.I liked the flow of the story-telling, how sometimes we would see what happened in this future and see a mention of it in the other future. The events fit in seamlessly and bravo to West for accomplishing that! You could see that no matter what Addie decided, some events were going to happen and she couldn’t stop them. I get what West was trying to accomplish in the end and tried to throw us off with what was going to happen but I found it confusing and overwhelming. I would have liked more build-up towards that climax and maybe some insight as to why the characters did what they did instead of a bunch of info-dumping. I know there were small hints here and there but more would have made the overall impact of the ending more BOOM!I know some reviewers said it was hard to get used to which future Addie was in, that wasn’t an issue with me. It was easier to grasp than Parallel. I definitely wanted to see more of the Paranormal compound, I was quite fascinated by what Addie’s parents did and the whole finalising your powers once you’re an adult. So I hope we see more of the paranormal compound in the sequel and more expansion on that part.I liked Pivot Point well enough, I enjoyed the story and liked the characters. The concept wasn’t confusing and I really want to find out more about the paranormal compound. However it wasn’t a book I loved because of the ending, I liked the action but would have preferred more build-up so I was more prepared for it and it just made more sense. It’s worth a read and I recommend it.